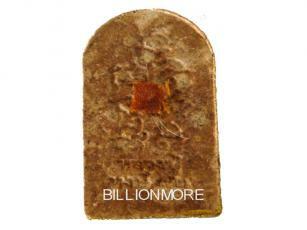 Material: this wealthy amulet created from holy herbs and powders. 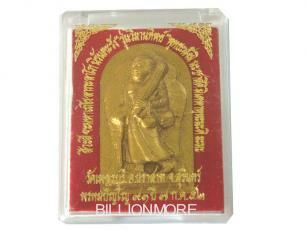 Purpose for making: Donate the money from amulets to develop and restore the buildings in temple. Ceremony: LP Hong strongly blessed this wealthy amulet in 2 July B.E.2552 by himself at Susan Thung Mon Place. 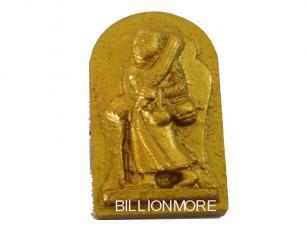 Power: Thai people believe Phra Sivali is Buddhist saint of wealth and abundance. Therefore who worship Phra Sivali will get property, richness, good business and fortune. 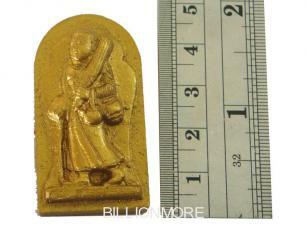 Presented: there is holy mass in the back of Phra Sivali amulet such as hairs and robe of LP Hong. LP Hong was born on Thursday 24 March B.E. 2462, Surin province. In a childhood, LP’s name is Suwanhong Jamuadee. His father’s name is Bok, his mother’s name is Uun, and they are rice field farmers. LP has 8 brothers and sisters. LP was the oldest and had an ordained at 18 years old. LP’s name is Samnen Phromsorn. 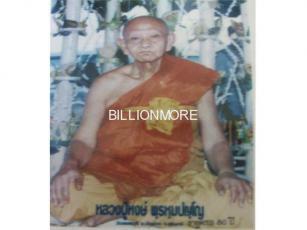 When LP is 20 years old is a monk at Wat Petchburi, Tumbon Toongmon, Amphur Prasart, Surin province. After ordained only 3 months, LP whet to Srisakes and going to Kampuchea. When LP went into Kampuchea, LP met many Ajarn. With the loneliness and self-sufficient of LP made other Ajarn taught LP with kindness and taught LP in all science such as protecting harmness, harm proof, gun, spear, Chang sur-ah, wax, Khun sai, making holy water. Resident on wood and study all of knowledge. LP Hong Yudong to Kampuchea for 30 years and then came back at Wat Petchburi as a head abbot. The Kampuchean knew and paid respect to him so much. LP was Phra tudong with solitude so LP was not staying at the same place so farewell to the relatives for Tudong. LP likes planting forest, ponds, building bridges and donating to the foundation as usual without LP’s own. LP sacrifices to everything.